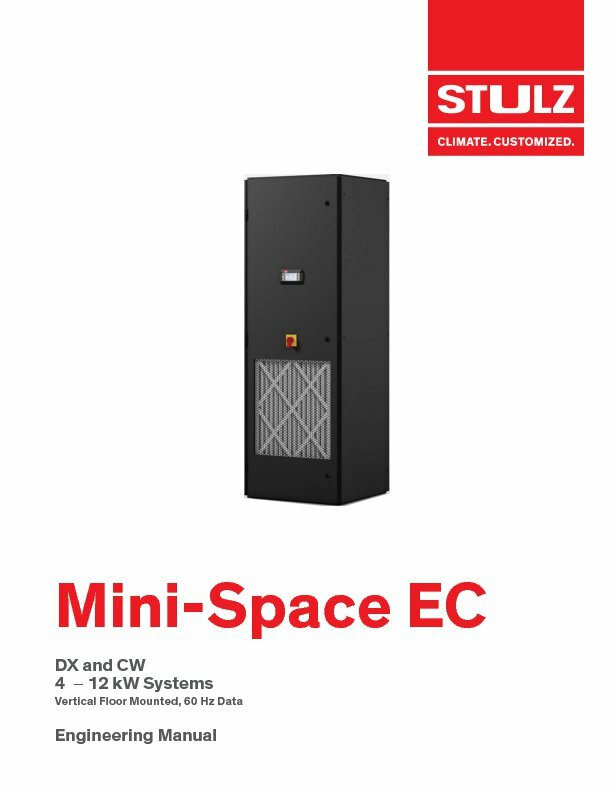 The Mini-Space EC computer room air conditioner (CRAC) provides up to 12 kW (41 MBH) of cooling while only occupying 2 ft. x 2 ft., making it the ideal solution for small spaces. 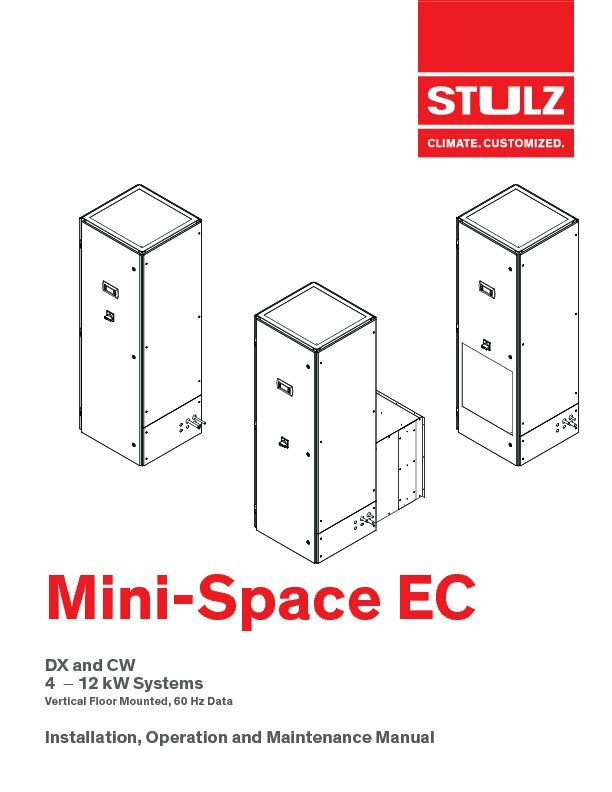 STULZ Mini-Space EC vertical floor mounted air conditioning units provide precision temperature and humidity control for computer rooms and other critical areas where continuous 24/7/365 operation is required. The Mini-Space EC solution is designed with a wide range of options to handle small IT spaces, telecommunications, medical, modular data centers, and more. "Comfort cooling equipment is not designed to run 24/7 or to maintain the tight tolerances required for IT cooling, which can result in unscheduled down time and unplanned maintenance costs. 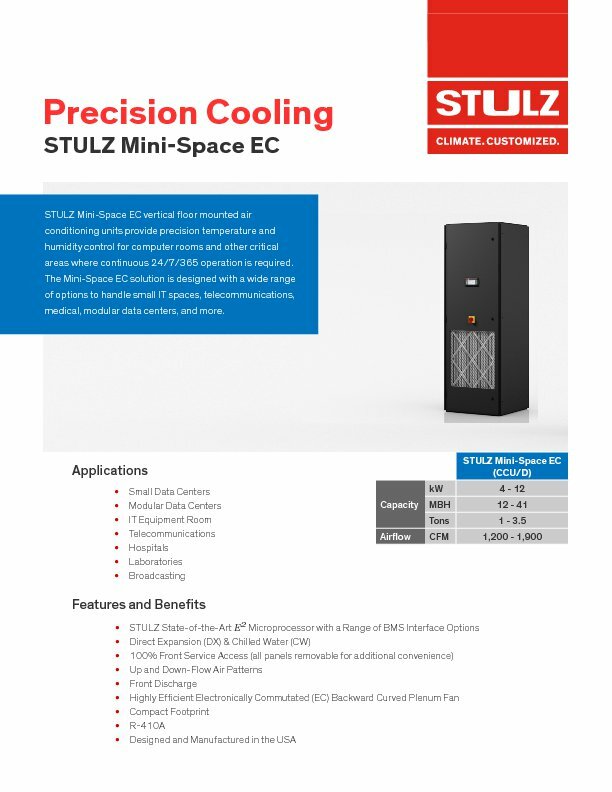 In contrast, the Mini-Space EC is designed to accept the high sensible heat loads produced by IT equipment, and is more efficient with higher return temperatures." The Electronically Commutated (EC) backward curved plenum fan is the key to this product’s efficiency. Because it shares many of the same design aspects of the other STULZ floor standing products, we are able to provide a fully scalable air volume with EC fans that are designed to operate at reduced speed. The result is significant energy savings and lower maintenance costs compared to belt driven forward curved fans.